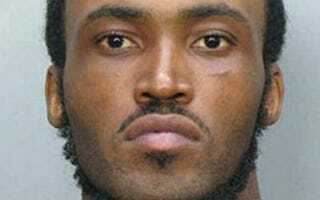 Thirty-one-year-old Rudy Eugene was widely speculated to have been under the influence of a synthetic drug or suffering from a drug-induced psychosis the afternoon of May 26, when he stripped naked and brutally attacked homeless resident Ronald Poppo in broad daylight along Miami's busy MacArthur Causeway, chewing and ripping off roughly half of the older man's face. But according to a statement on the full toxicology report by the Miami-Dade medical examiner, the only drug detected in his body was marijuana. The news doesn't make the tragic story any better for Poppo, who is still recovering from his injuries, and it raises more questions than answers about what could possibly explain this gruesome incident. "The department's toxicology laboratory has identified the active components of marijuana," medical examiner Dr. Bruce Hyma said in a statement. "The laboratory has tested for but not detected any other street drugs, alcohol or prescription drugs … This includes cocaine, LSD, amphetamines (Extasy, Meth and others), phencyclidine (PCP or Angel Dust), heroin, oxycodone, Xanax, synthetic marijuana (Spice), and many other similar compounds." A second forensic toxicology lab also confirmed the absence of the most common ingredients of bath salts, a synthetic amphetamine cocktail blamed in several recent incidents that bear some similarity to Eugene's attack. "Within the limits of current technology by both laboratories," the statement read, "marijuana is the only drug identified in the body of Mr. Rudy Eugene." The statement did not address previously reported autopsy findings of what appeared to be undigested pills in Eugene's stomach, and an expert told the Associated Press marijuana alone was not likely to cause such an attack.